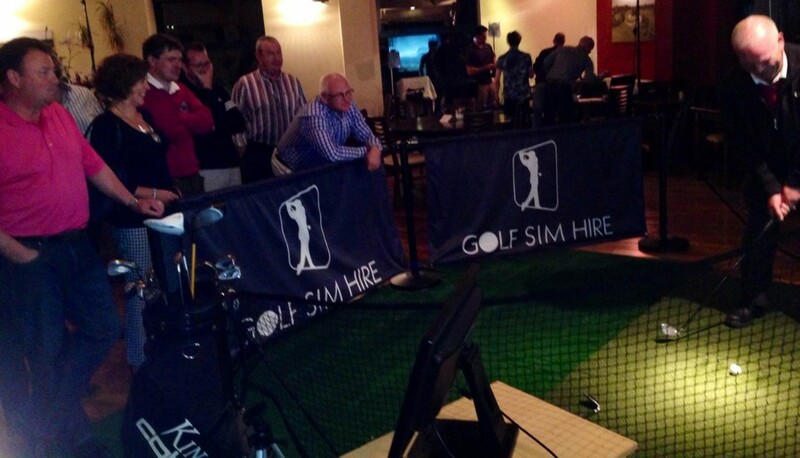 One of the first questions we get asked at Golf Sim Hire about our simulators is ‘can we play St. Andrews?’. 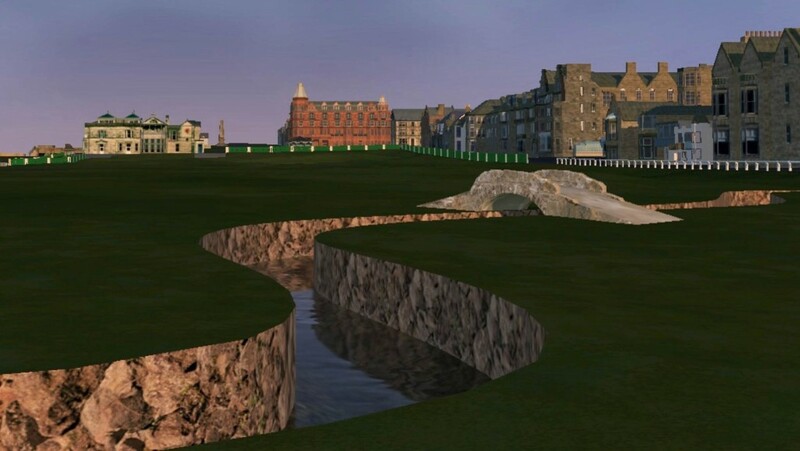 Well we have 3 of the world famous links courses at St Andrews, and yes, we have this years Open venue, The Old Course, on our simulator….and yes, you can play it with no wind! The Open rolls around to the Old Course every five years and 2015 will be its 29th time as host, which is more than any other course in Britain. One for the lads in the pub is the interesting green layout brought in by the rather grandly titled ‘Keeper of the Green’, Old Tom Morris in 1863…who also went on to win The Open 4 times before his son repeated the feat and also won it 4 times. His name? You guessed it….Young Tom Morris. Well, in 1863, Old Tom had the 1st green separated from the 17th green, producing the current 18-hole layout with seven double greens that are shared by two holes each, with their numbers adding up to 18 (2nd paired with 16th, 3rd with 15th, all the way up to 8th and 10th) resulting in players being able to play the course in clockwise or anti-clockwise directions! Clever. And then there’s the iconic Swilcan Bridge spanning the first and 18th holes, which has become a famous icon for golf across the globe. Everyone who plays the 18th hole walks over this 700 year old bridge pictured here below on our simulator. Along with that, the Old Course has 112 bunkers which are all individually named and have their own unique story and history behind them. The two most famous are the 10 ft deep “Hell Bunker”on the 14th hole, and the “Road Hole Bunker” on the 17th hole. Countless professional golfers have seen their dreams of winning the Open Championship devoured by the remorseless hazards. So if you’re not heading over to play it or even if you are going to The Open this year as a spectator, if you have an event coming up or looking for a new corporate entertainment idea why not hire one of our simulators to marvel at Old Tom Morris’ double greens or walk over The Swilcan Bridge (kind of) or cut the corner on the famous 17th Road hole with your drive and go on to par it? If you enjoyed this post, why not check out our other blogs such as our Club App review or our Pro Am experience with Jose Maria Olazabal.